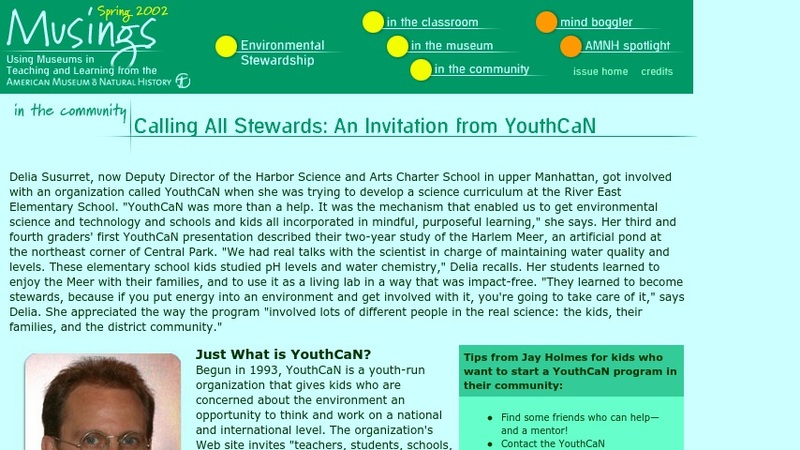 This online article, from the museum's Musings newsletter for educators, reports on the YouthCaN organization. It discusses the background and activities of this youth-run organization, begun in 1993, which gives kids concerned about the environment the chance to think and work on a national and international level. There is information on how to create a YouthCaN program in your community.